The radiologic technology degree is a two-part program designed to help students gain the necessary experience and expertise in preparation for a career in radiologic technology. 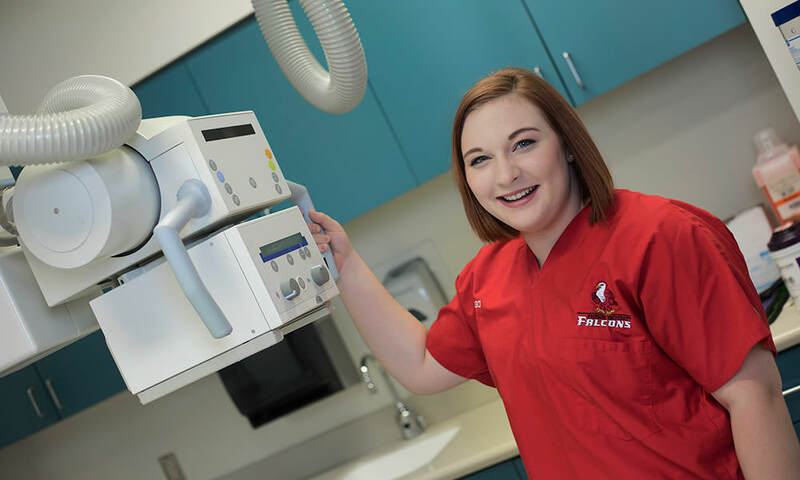 Graduates of this degree program will study for two years at an American Registry of Radiologic Technologists (ARRT) program (60 hours) and two years at Friends University. The two years at Friends University include courses in humanities and the basic sciences. Although Friends is affiliated with the Hutchinson Community College’s Radiologic Technology program, students may attend any ARRT-approved clinical program. Each professor in the program has earned a Ph.D. and is actively involved in teaching and in a variety of research projects with undergraduate students. Facilities are located in William Penn Science Building, a modern science and math building that includes a computer facility, research and teaching labs, faculty offices, and lecture rooms. View the courses required for a Bachelor’s degree in Radiologic Technology. A degree in Radiologic Technology can be used in more ways than you may think. Take a look at some of the potential careers that can result from this area of study.